Sheelagh is passionate about homeopathy. She has busy practices in Peebles and Edinburgh. She also treats clients from all over the country and abroad, by phone. Sheelagh has been working full-time as a homeopath and flower essence practitioner since 2005, having graduated in 2003. She has studied with many eminent homeopaths from home and abroad and is always keen to learn new remedies and techniques. She writes articles for international homeopathic publications and has run many courses for beginners to experienced homeopaths. 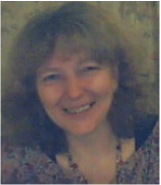 Sheelagh also has an interest in astrology and uses Shamanic work as a personal development tool. "I love the magic of homeopathy, the potential of transforming dis-ease and supporting people through their personal journey. I feel truly honoured and privileged every day to have clients share their individual stories with me." Jenny is very inspired by the whole spiritual aspect of homeopathy and how it can be used as a tool for spiritual development. "I teach the ayuvedic energy system of chakras, elements, prana and sheaths of the body in yoga breath work. There is a cross over between breathing and meditation and I use a lot of visualisation, which can encourage access to intuition. I studied meditive provings with Madeline Evans in York for 2 years and use these remedies a lot. Also I work with children with ADHD or autistic spectrum." Jenny teaches Materia Medica, Meditation, Breath work, Homeopathic Principles and Chakra sessions and is also a regional tutor group leader. 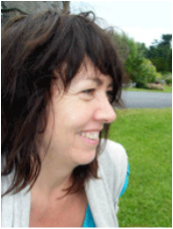 Liz is a Nutritional Therapist, Homeopath, Flower Essence Practitioner and Aromatherapist and has a thriving practice established in 1996, with clinics in Kendal and Carlisle, in Cumbria, and Clitheroe in Lancashire. Passionate in encouraging people to nourish themselves physically through eating a nutritious diet, Liz believes that it is important to acknowledge that health is also the result of how we feel too. Our bodies respond to the way we think, feel and act, so emotionally we need to nourish our minds with positive thoughts and feelings as well. Liz is convinced that Homeopathy & Nutrition form the perfect partners working together on both physical and emotional levels to encourage health, happiness& vitality. Liz teaches Nutrition, Therapeutics, Materia Medica and Essences. Ishbel studied at the Lakeland College of Homeopathy, where she graduated from in 2002. Ishbel teaches Anatomy and Physiology on the training course with The Homeopathy College in Scotland. Lyssa first started learning homeopathy around 26 years ago. "I was immediately fascinated and hooked by the philosophy and ways of looking at every aspect of life. Excited by what I saw homeopathy's potential for enhancing and supporting health, I have been using it personally and with my family ever since. I completed a 4 year training in 1998 in Edinburgh, and continue learning through attending a wide range of seminars, courses and study days and with personal study and endless reading, and of course through my clients. I love hearing people's stories and then seeing what can unfold as they respond to a dynamic remedy stimulus – always exciting and often surprising and moving.” Lyssa is a regional tutor group leader. Jayne graduated as a homeopath in 2003 from the Lakeland College of Homeopathy and continued training at the Integrative College whilst opening and practicing at a Holistic Centre in Ambleside. During this time her interest and passion for shamanism grew alongside her homeopathic work and she has recently gained her Shamanic Practitioner Qualification with the Three Ravens College of Therapeutic Shamanism, in Lancaster. "A love of live, people, nature and exploration marked out my path and now my fear and uncertainty have been replaced with understanding." 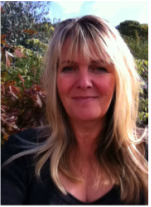 Jayne leads Shamanic Journeys, Energy, Personal Development sessions and Learning Journals. Tracy has been practising Chi Gong for almost 20 years, and the Hua Gong style developed by Master Zhixing Wang and taught to me by Daverick Legget since 1996. “I use chi gong to ground and balance physical and emotional energy, to enhance creativity and to engage more deeply with the natural world.